Zhang Xiaogang was elected as ISO President for a three-year term beginning on Jan 1, 2015. Zhang is currently a vice-chairman of the Ansteel Group Corporation, one of the world's top 500 corporations, and has distinguished himself in high level leadership positions over the years for several iron and steel corporations over a career spanning 35 years. An active member of the iron and steel industry, Zhang holds a doctorate in metal materials and heat treatment. He has a keen interest in both the academic and industrial side of the industry, taking part in many scientific research projects and winning a number of scientific awards in the past. His commitment to the industry has led him to chair and direct various iron and steel associations and committees in China. He was also the chairman for the World Steel Association, and chaired an ISO technical committee for 13 years. 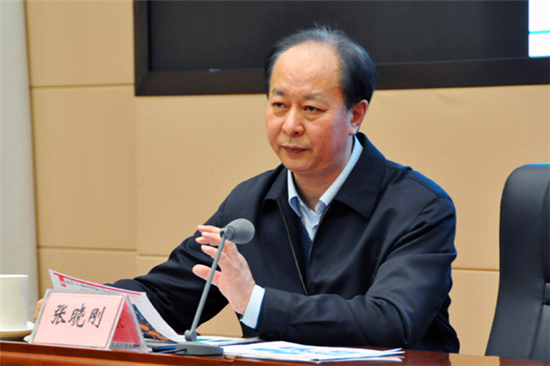 During his time on the Chinese Standardization Expert Committee, he played an important role in strategic planning, policy making and research for standardization at the national level.